By now, it seems safe to say that Huawei has been building its reputation lately on a combination of premium design coupled with some impressive camera performance. With the Huawei P20 Pro, the brand once again tries to make the camera the hero in a fully loaded device. Thus, this is the first smartphone to feature a triple camera setup along with an configuration. All at a price of Rs 64,999, in case you had any doubts about just who this model is going up against. According to Huawei , the P20 has the ability to change the way we take photos using smartphones today. But is it justifying its price point? And does it offer all the things that are scarce at this price point? We spent quite a while with the device and this is what we think of it. Why should you buy Huawei P20 Pro? If you are snap happy and fancy yourself in selfies and your pictures otherwise, then the argument could stop right here for you. The Huawei P20 Pro features not one but three camera sensors, which is a first in a smartphone. Starting from the top, you get an 8-megapixel telephoto lens with 52mm focal length. Then there is a 40-megapixel RGB sensor with f/1.8 aperture and focal length of 28mm and lastly, there is a 20-megapixel monochrome lens with f/1.6 aperture. This is not it, the smartphone also features 5x digital zoom, which is possible with 3x optical zoom from the telephoto lens and 2x digital zoom from the main 40-megapixel sensor. All this roughly translate to some incredible performance on the camera performance and true to its word, the phone delivers that thing. This is probably one of the finest camera-centric smartphones we have seen yet. All the three sensors are fined-tuned with Leica expertise and are assigned a specific role. The 40MP camera captures the colour present in the scene, while the 20MP monochrome ensures details. This, when combined, delivers some really exceptional output. 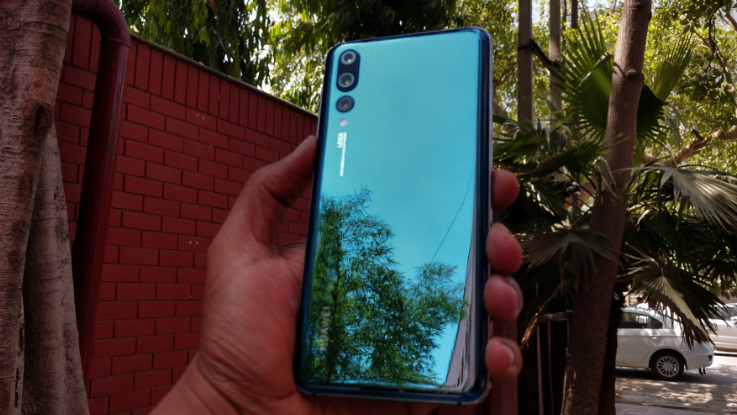 During our review, we found out that the camera was able to capture perfect picture shots in most of the lighting conditions, whether be it sunlight or ultra low light. The phone is able to sharpen every image and results are simply amazing in our testing. The zooming works fine as well as it is able to capture some serious details when you zoom at 5x. Truly a case of capturing the unexpected when you take pictures with this one. 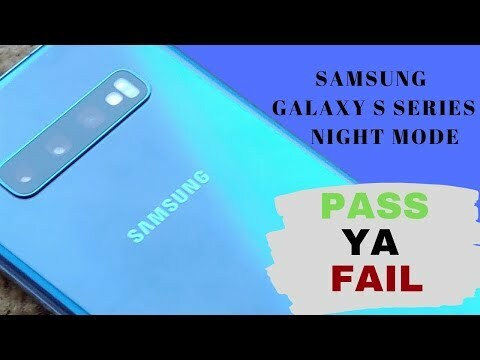 The front-facing camera does a good job in most of the condition as well, though, in some low light situation, we felt that it could have been better. 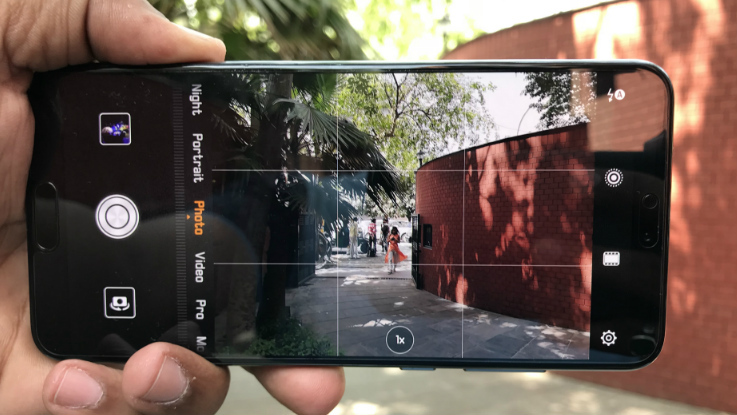 Coming to camera features, the Huawei P20 Pro has all the bells and whistles, from different modes like Aperture, Night, Portrait, Photo, Video, Pro mode to slow-mo, panorama, monochrome, light painting, HDR, time-lapse, Filter, and more. All the camera modes are fun to play with, but we really liked the Night mode. In this mode, the phone takes a long exposure of max 50 seconds, so that more light could enter the sensor and the end result is, you get some standout photos in ultra low-light conditions. A key reason for its such solid camera performance is the AI integration. The smartphone comes loaded with Master AI and a dedicated NPU for AI applications. The Master AI feature automatically identifies more than 500 scenarios in 19 categories. The AI also enhances the picture brightness and saturation to give a more refined look. This simply means that for every scene, the AI automatically enhances the pictures to get you the optimal result. In our testing, we found out that the AI was able to detect different scenes like Greenery for plants and trees, food for food items, dogs for you know what and more. For most of the times, the AI engine works in the cameras favour. Huawei has really upped its design chops, and the Huawei P20 Pro is a great example. The phone comes with an all-glass look, which perfectly blends a metal frame that holds both the front and back. Surely, this is one of the finest looking smartphones from Huawei. The metal and glass combination does play an important role to avoid some odd knocks and scratches on the smartphone. On the downside, it is not smudge proof meaning that you will get traces of fingerprints all over the smartphone. But the company does offer a silicon cover, which solves this problem to some extent. Coming to the display, the Huawei P20 Pro features a 6.1-inch screen with a screen resolution of 2244 x 1080 pixels and an aspect ratio of 18:7:9. Though other flagship players like Samsung Galaxy S9+ or other are offering Quad HD+ display, Huawei P20 Pro display does not lag behind. The phone uses OLED display, meaning that colours are bang on and the deep blacks look more pleasant. One thing we liked about the display is it bright. When you set it maximum, you can easily read the screen even in direct sunlight, which is a welcome move. The Huawei P20 Pro is powered by an octa-core Kirin 970 processor along with Mali-G72 GPU. The phone is backed by a 6GB of RAM and 128GB of internal storage. The device runs on Android 8.1 Oreo and it is backed by a 4000mAh battery with fast charging support. The performance of the smartphone is quite satisfactory when it comes to daily tasks. The phone is able to handle almost every task you throw at it. On the gaming front, it is able to handle casual games pretty well. The Face recognition works most of the time and so does the fingerprint sensor. The battery is yet another department, where it does a good job. During our testing, we found that the Huawei P20 Pro’s 4000mAh battery delivers almost a day of battery backup under mixed usage. If you are a power user who gets anxious at low battery levels, you might want to gran some charging time during the mid-day to stay calm. Why should you not buy Huawei P20 Pro? 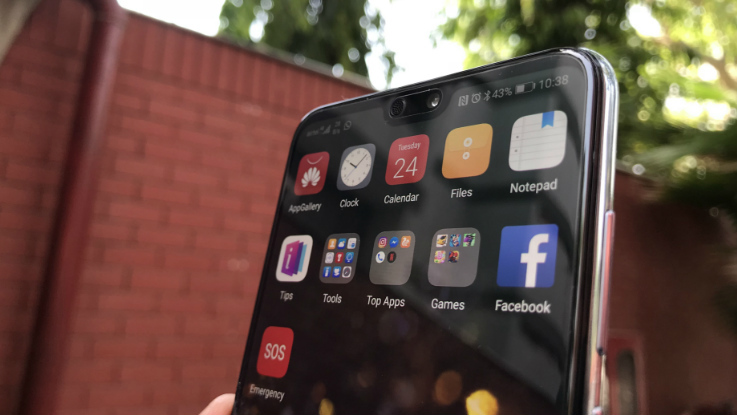 With Apple iPhone X introducing the notch, it seems like each and every manufacturer is eyeing this trend with Huawei being at the forerunner. 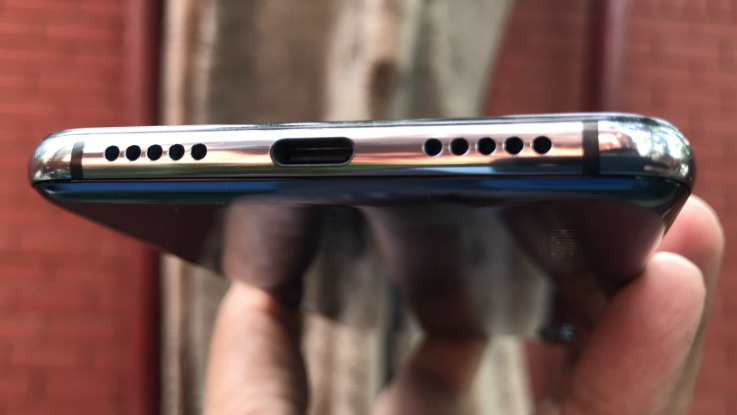 The Huawei P20 Pro comes with an iPhone X-like notch that houses the front-facing camera and an earpiece. 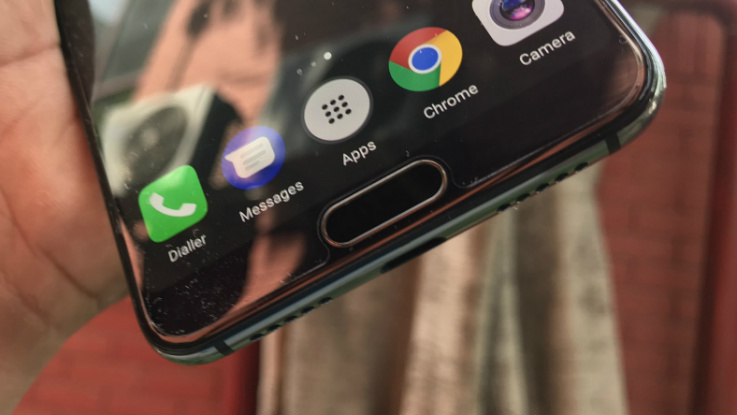 However, in our opinion, the notch mostly remains useless and it is typically an eyesore for many users. This is primarily because most of the applications are not even optimised for 18:9 display trend, leave the new 19:9 alone. So most of the time you will end up using the apps that are compatible with 18:9 display on this smartphone. 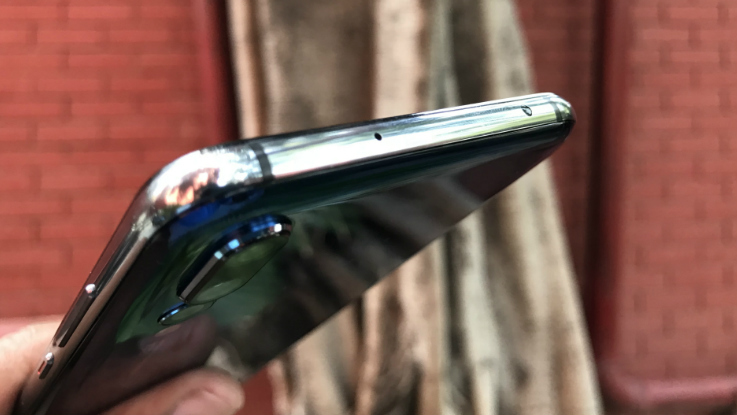 So the notch is more like a vestigial organ, really. Another thing we didn’t like about Huawei P20 Pro is the placement of the fingerprint sensor. The sensor is placed on the chin of the smartphone and it is quite small in size, which makes it easier to put your finger or perform some gesture functions through it. If you have large fingers then you might it a bit uncomfortable to unlock the device through the sensor. The Huawei P20 Pro runs on Android 8.1 Oreo with company’s EMUI 8.0 running on top of it. The user interface from Huawei has come a long way, but still, it has some way to go as well before it starts selling phones on its back. Though the user interface offers a slew of interesting features and functionalities, it is still too heavy for usage, we believe. The primary reason for the heavy UI can be gauged from the fact that when you open a host of different apps , the multitasking becomes quite laggy. Though it comes with some interesting features like smart controller app, which utilises the IR blaster to control different appliances to the iOS-like 3D Touch functionality where you get the notifications and few shortcuts. Yes, the Huawei P20 Pro does a really good job in most of the departments, but it simply doesn't feel that fast, as we have seen in other flagships like Apple iPhone X or even OnePlus 5T for that matter. It is quite odd that Huawei has not added wireless charging support on the Huawei P20 Pro as most of the flagships at this price range support this feature. This is especially odd when the brand has opted for a glass body, which is an ideal material for wireless charging. Of course, with the sizeable battery and fast charging, we doubt this will be a deal breaker. To conclude, the Huawei P20 Pro features some of the best cameras we have seen in a while on a smartphone. The AI integration is a real support to get some exceptional performance in the camera department. The phone is a real looker to flaunt. 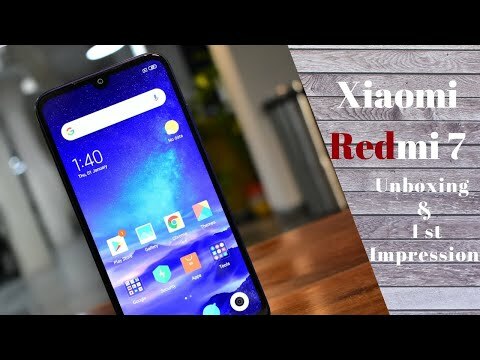 The display surely looks promising and battery performance is decent. However, the notch is a needless me too, and the user interface could be zippier. The absence of wireless charging is one bragging feature less, and so is the placement of the fingerprint sensor. 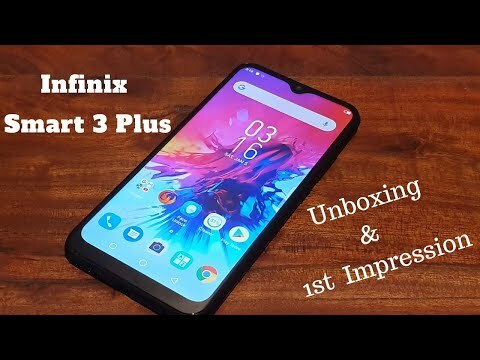 But still, if you are a camera buff and want a good looking smartphone that takes some fantastic camera shots, then this will serve you well. 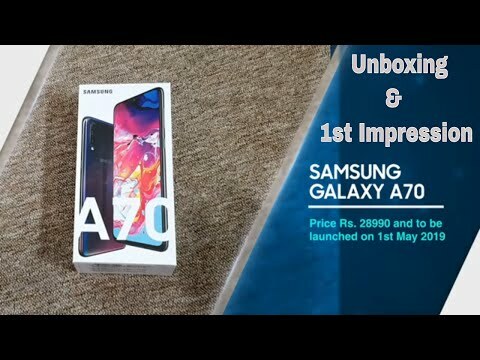 Otherwise, the Samsung S9 series and the Apple toys will always beckon you too.